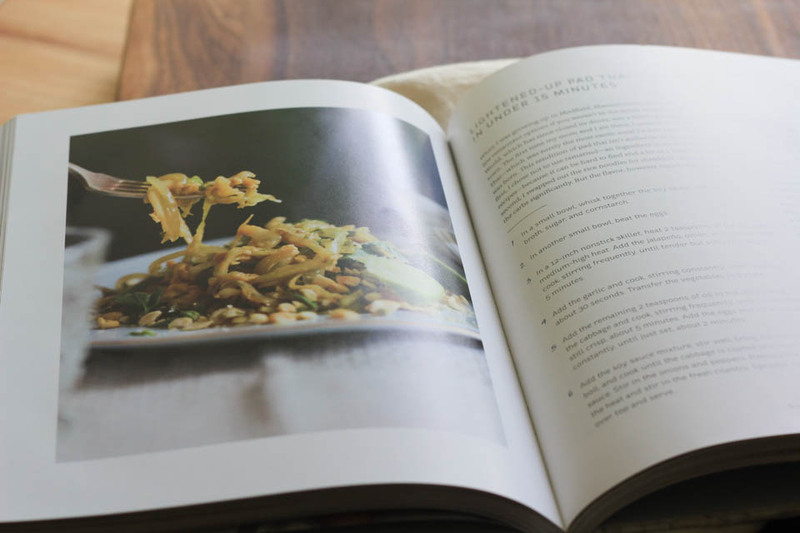 I am super happy to share another cookbook with you today! It’s not often I have two cookbooks to talk about in one month, but it happened and you need to know about it! 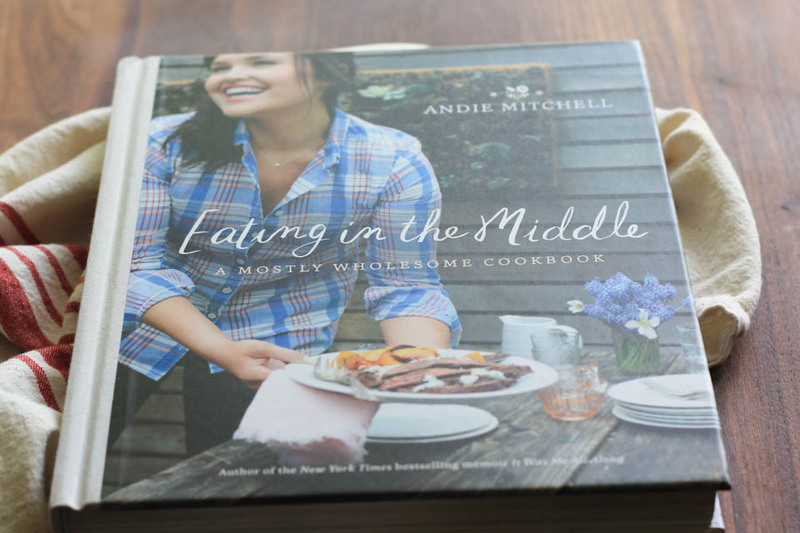 Andie Mitchell is the sweetest fellow food blogger and she has written a cookbook, Eating in the Middle- A Mostly Wholesome Cookbook. How perfect is that?!! So perfect, especially seeing as last week I spoke about this very subject and it’s the basics of my site, it was a pleasure to share her work! I’ve gone though each page of this book that was perfectly written by Andie and beautifully photographed by another kind woman, Aran Goyoaga. I met Aran once and she is another woman that I have admired her work for a long long time. Aran and Andie are a match made in heaven for creativity. They are both so super genuine, kind, humble, and real times kind of ladies. When I met Andie, it was an instant oh HI, I know you but I don’t know you, so good to meet you moment. And it happened again here in Portland a short while ago. A testament to her kindness and I’m all about nice people, and nice people make good food. This book while it is so incredibly gorgeous, it is also approachable with healthy recipes, more indulging recipes, and simply good food. Andie knows balance very personally in her journey to weight loss of 135lbs many years ago. She knows good food and how to make it healthier while also being delicious. That is a great cookbook in my eyes! She is also shares that personal journey in her New York Times bestselling memoir, It Was Me All Among. 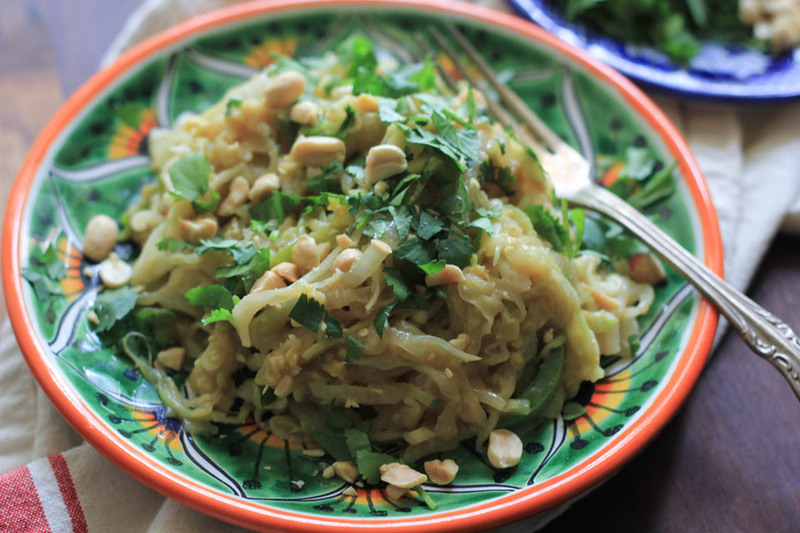 This recipe for Lightened-Up Pad Thai in Under 15 Minutes was an immediate, yes I’ll make that, moment for me. Brian orders Pad Thai at a restaurant next door to his work a couple times a month because he loves it, it’s super flavorful, and healthy. He orders it with extra vegetables, so when I saw this, I was so excited to make it for us at home. I kind of get jealous that he eats Pad Thai so often without me, but who am I to be jealous, I can make it at home anytime I want. I just haven’t, until now. 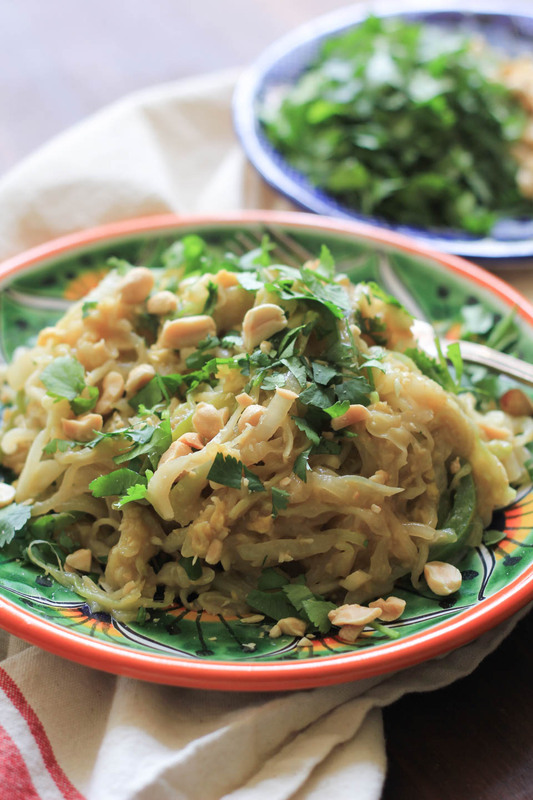 Simply because this is the easiest Pad Thai recipe there is and I loved making it. Seriously, quick to come together meals with protein, vegetables, and flavor is what I am all about some days, this is it. I shall now release the jealousy of Brian eating pad Thai at work and make my own at home! Thank you, Andie, that is what I am all about! In a small bowl, whisk together the soy sauce, fish sauce, broth, sugar, and cornstarch. In a 12-inch skillet, heat 2 teaspoons of the oil over medium high heat. Add the jalapeño, onion, and pepper, cook, stirring frequently, until tender but still crisp, about 5 minutes. Add the garlic, cook, stirring constantly, until fragrant, about 30 seconds. Transfer to a plate. Add the remaining 2 teaspoons of oil to the skillet. Add the cabbage, cook, stirring frequently, until tender but still crisp, about 5 minutes. Add the eggs, stir into the cabbage, cook, stirring constantly, until just set, about 2 minutes. 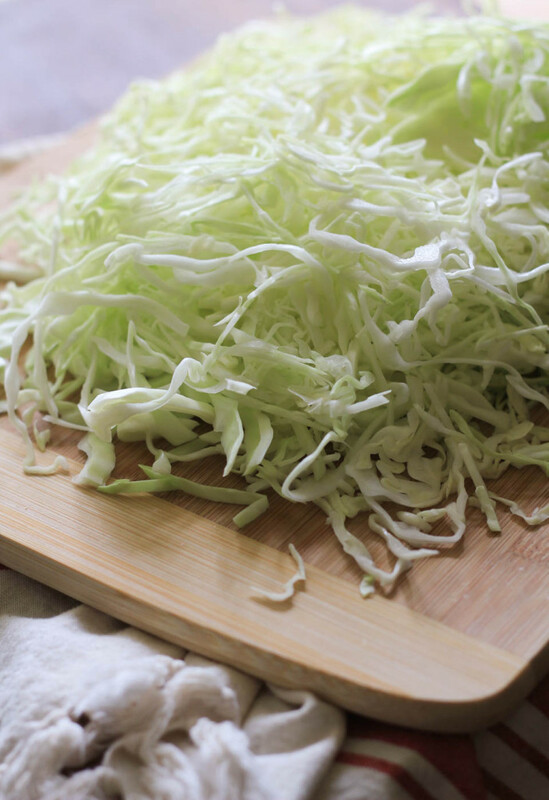 Add the soy sauce mixture, stir well, and bring the mixture to a boil, cook until the cabbage is coated in a thick, glossy sauce. Stir in the onions and peppers. Remove the pan from the heat and stir in the fresh cilantro. Sprinkle the the peanuts over the top and serve.